Guy said this earlier today, and The Wall Street Journal has also made its position known about the unsubstantiated and potentially completely BS allegation against Judge Brett Kavanaugh. The charge is that when he was 17 years old, a drunken Kavanaugh tried to sexually assault Christine Blasey Ford. She’s a Democrat. She lives in northern California, and works as a research psychologist and professor at Palo Alto University. She never told anyone about the encounter. It was unearthed in 2012 during couple’s therapy. The principals involved in the incident have either denied or don’t recall any event ever occurring. It was 30+-years ago. It can’t be verified. Therefore, it cannot be allowed to delay or derail Kavanagh’s Supreme Court nomination—and the Journal notes something else, something wholly odious, that could arise if that does occur. The precedent being set by liberal Democrats isn’t a good one, and for those who wish to de-politicize the whole judicial nominating process need to understand that goal will be dead if the Left succeeds in their character assassination effort. In many ways, it died when Joe Biden chaired the Senate Judiciary Committee. This is not to say Christine Blasey Ford isn’t sincere in what she remembers. In an interview published in the Washington Post on Sunday, Ms. Ford offered a few more details of the story she told anonymously starting in July. She says she was 15 when Mr. Kavanaugh, who would have been 17, and a male friend pushed her into a bedroom at a drinking party, held her down, and pawed her until the male friend jumped on them both and she escaped to a bathroom until the two boys left the room. 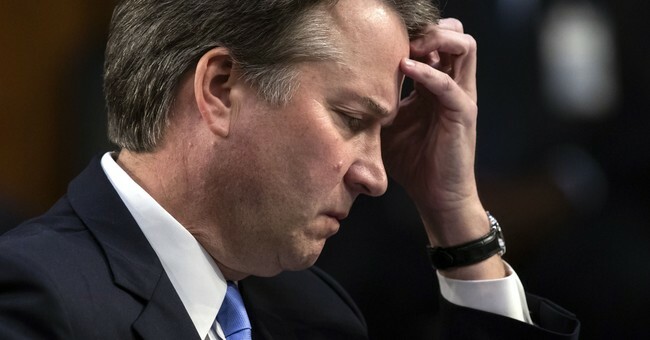 The timing and details of how Ms. Ford came forward, and how her name was coaxed into public view, should also raise red flags about the partisan motives at play. The Post says Ms. Ford contacted the paper via a tip line in July but wanted to remain anonymous. She then brought her story to a Democratic official while still hoping to stay anonymous. Yet she also then retained a lawyer, Debra Katz, who has a history of Democratic activism and spoke in public defense of Bill Clinton against the accusations by Paula Jones. Ms. Katz urged Ms. Ford to take a polygraph test. The Post says she passed the polygraph, though a polygraph merely shows that she believes the story she is telling. The more relevant question is why go to such lengths if Ms. Ford really wanted her name to stay a secret? Even this weekend she could have chosen to remain anonymous. These are the actions of someone who was prepared to go public from the beginning if she had to. Democrats waited until Ms. Ford went public to make public statements. But clearly some were feeding the names of Ms. Ford and her lawyer to the press, and now they are piling on what they hope will be an election-eve #MeToo conflagration. His obvious political goal is to delay the confirmation vote past the election, fan the #MeToo political furies until then, and hope that at least two GOP Senators wilt under political pressure. If Republican Senators Jeff Flake and Bob Corker think a hearing will satisfy Mr. Schumer, they are right to retire from politics. That’s the name of the game. Delay, delay, and delay some more. No evidence. No hearings. No witnesses, just whine, delay, say how the process is illegitimate, and delay all the way until Election Day. Get the already jacked up progressive base to the polls, where Martha McSally and Marsha Blackburn could lose in Arizona and Tennessee respectively. Even if we pick up Missouri and Florida by knocking out Claire McCaskill and Bill Nelson, the Senate will be split 50-50. That means ranking members on committees get more power, which further gums up the works. The nightmare scenario is that red state Democrats now have a reason, albeit a shoddy one, to be hesitant on Kavanaugh where they could sell a no vote, coupled with higher Democratic turnout, the Senate has a 52-48 Democratic majority heading into the next Congress; McCaskill and Nelson hang on. With Merrick Garland still on their minds, they will delay hearings and votes altogether on Kavanaugh, possibly killing his nomination and forcing Trump to pick a more moderate candidate, or keep him from picking a successor until after the next election.